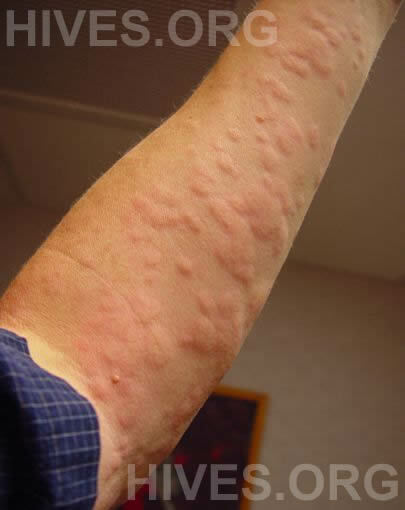 Hives cause raised, itchy welts to appear on your skin and are often caused by too much stress or tension in your life or due to external factors that cause an allergic reaction. Your body reacts to the high amount of stress or the allergic reaction by releasing histamine into the bloodstream to fight the allergen. In essence, your immune system thinks there is a foreign substance (called allergens) in your system, and tells the body to release histamine to fight it off. If you think you're experiencing a hives outbreak, be sure to browse the hives images below to look for similarities. 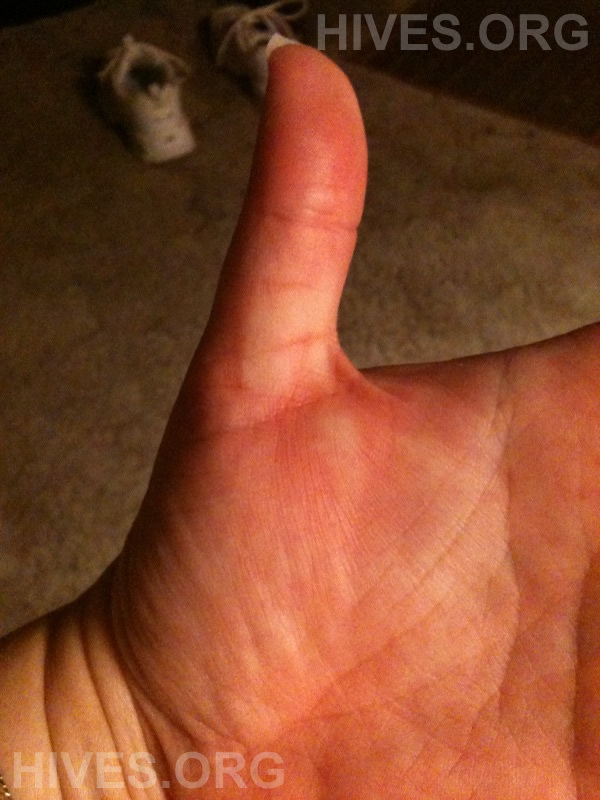 If you do see similarities, be sure to read what causes hives, what typical hives symptoms are and how to get rid of your hives. 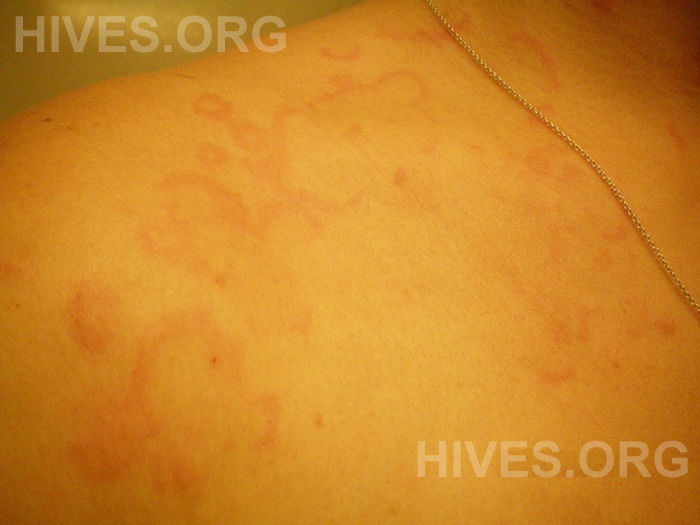 Every case of hives is different, so if you would like to have your hives evaluated, please submitsubmit your photos for a free online diagnosis here. 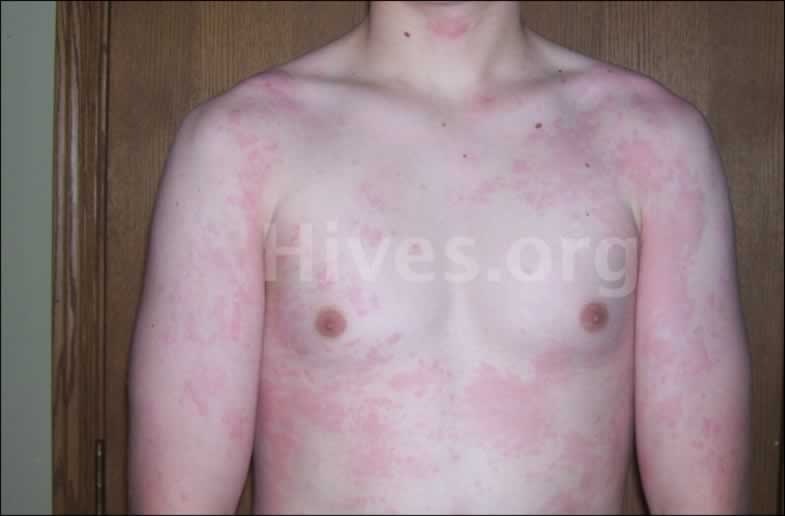 This is a severe case of hives caused by the medication he was prescribed by his primary care physician. 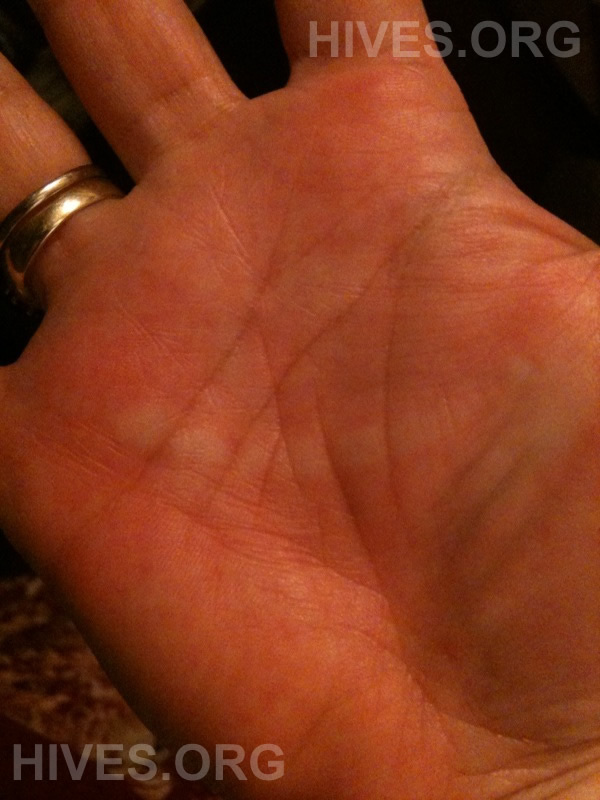 Contrary to popular belief, you can get hives on your hands. Facial hives are when you get hives all over your face. Getting hives on your shoulder is just as common as getting them on your neck and chest. This patient had a case of chronic hives on her leg. As we receive additional photos, we'll upload them on this page in order to help future website visitors. 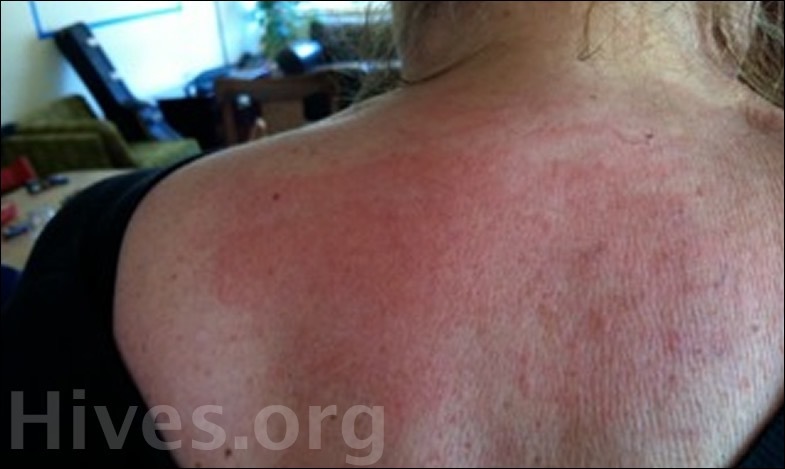 To learn how to get rid of your hives, please see our hives treatment page.